Future of NASCAR Dirt Track Racing? 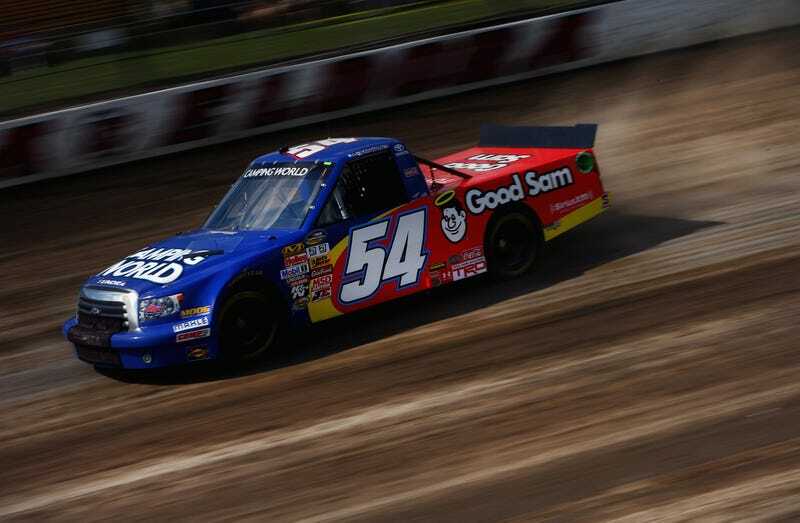 Tonight, a national-level NASCAR series returns to dirt-track racing. Many questions will be answered tonight, but how do you envision NASCAR's future in the dirt? We're all interested to see how a few dozen 550 horsepower fendered cars race on dirt, but including dirt-tracks into the Nationwide or Sprint Cup schedules could mean running 650 or even 900 horsepower cars on a low-grip track with no pit lane and very little, if any, run-off area. Including dirt in the top two series would also mean teams would need to build four different types of cars: speedway, restrictor plate, road course, and dirt tracks. NASCAR, like any racing series, can benefit from a more diverse schedule, but is adding dirt more effective than more restrictor-plate and/or road course races? These questions are not rhetorical; I haven't found my own answers to them, and am curious if you have.